A guest post from Mitch Peeke. June 19th, 1944: Just thirteen days after the Allied D Day Invasion. The weather that day was dry, but the late afternoon sunshine over Kent in Southern England was hazy. A formation of around 30 American B17 “Flying Fortress” bombers from the 379th BG, part of “The Mighty Eighth”, were returning home across the Kent countryside, heading due North, toward their base at Kimbolton, in Huntingdonshire. They were returning from a raid on the V1 launching site at Zudausques in Northern France. The raiders had taken some Flak, but thankfully, no German fighters had found them. They were doubtlessly busy elsewhere, trying to stem the Allied advances. But the Flak they had encountered had been accurate and had exacted a price from the 379th for their raid. Many of those B17’s were now badly damaged and flying home on three engines rather than four. More of them than not, now had “extra ventilation”, courtesy of the German Flak Gunners, and were trailing heavy smoke from those engines that remained running. However, the B17 was known to be “a good ship”. Inherently stable, it was a remarkable aircraft for its size, able to withstand a hell of a lot of battle damage and still be capable of flying. Many a pilot had been able to “nurse” one home, despite the odds. The crews all had faith in their aircraft. It was a faith that was born from hard experience in hostile skies. The formation crossed the South coast of England at 21,000 feet. Leading the No. 2 Section was B17 Heavenly Body II, of the 525th Squadron, Captained by 1st Lieutenant Lloyd Burns. 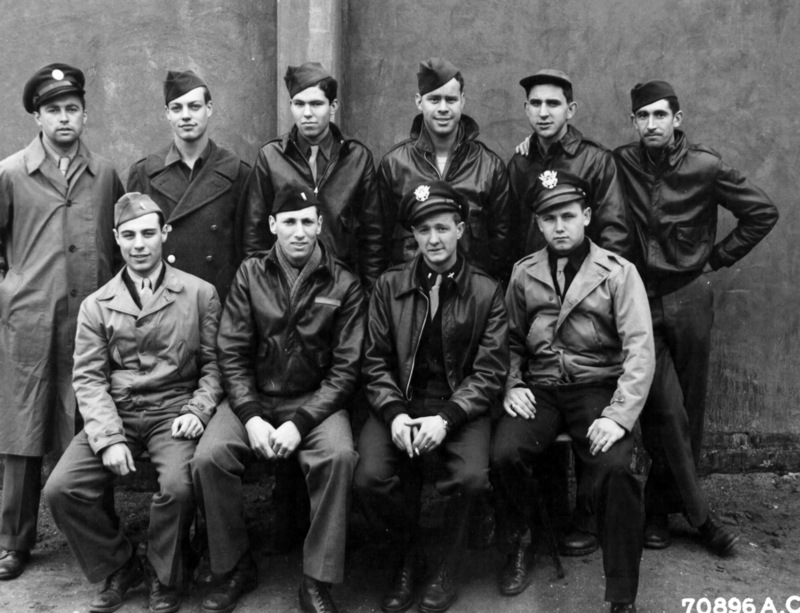 A veteran crew, this had been their 29th mission over enemy territory. Just one more mission and the crew would have completed their tour and then they’d be going home, Stateside. The D Day Invasion had of course been keeping them busy. This mission to the V1 site at Zudausques had been their second mission of the day. Lloyd Burns was an exceptional pilot with an enviable reputation for pulling off the smoothest of landings under any circumstances. The original Heavenly Body had been written off quite recently when the brakes failed on landing. Not even Burns could prevent that aircraft from being a runaway and as the heavy B17 simply ran out of airfield space, she rolled off the end of the runway, down a small hill and straight into a pile of scrap concrete rubble. Miraculously, Burns and his entire crew walked away from that landing. They got a new aircraft and quickly named her Heavenly Body II. (In fact, there were at least 4 other US aircraft named Heavenly Body. Two B29’s, another B17 of the 401st Squadron and at least one B25, all of which had a pin-up girl as nose art). This was now their third mission in the replacement aircraft and although they’d not yet had the time to paint the name and art on the bomber’s nose, the crew had happily settled in to their new ship. Just after the formation crossed the South coast, Lloyd Burns swapped seats with his co-pilot, 2nd Lieutenant Fred Kauffman. Fred was hoping to get a ship of his own after they completed their tour and had asked Lloyd if he could take over for the descent and landing, as he wanted more 1st pilot experience. Lloyd saw no reason not to. Now as the formation was beginning the let down toward Kimbolton, they gradually lost their height over Kent. At nearly 18:15, the formation was almost over Allhallows and down to 17,000 feet. Ahead of them, left to right, was the Thames Estuary; even busier than usual, with all sorts of shipping, due in no small part to the D Day invasion traffic. At 17,000 feet, the haze grew thicker. Fred Kauffman was beginning to work hard for his 1st pilot experience. He was having to fly more by instruments as the visibility forwards was down to about 1,000 yards and the horizon was beginning to disappear into the miasma, though to the airmen flying through it, it didn’t seem to be too bad at that moment. Flying above and slightly behind Burns’ aircraft, was his Port Side Wingman. This B17 bore the serial number 44-6133, but no name. The pilot was 2nd Lieutenant Armand Ramacitti and he was in trouble. This was his first combat mission and his B17 had been very badly damaged by the German Flak. He’d been nursing her along since leaving France behind. He’d already lost one engine, his Port elevator and a fair piece of the Starboard one had also been blown away and he had another engine on the Port side smoking heavily and running rough. Now, that engine was making an unbearably loud whining noise, looking and sounding as if it was about to seize up too. Jockeying the throttles on his remaining engines, Ramacitti was trying to compensate for the dropping power, but the flight controls were growing sloppy and with the Port elevator gone, maintaining the crippled bomber’s height was getting harder by the minute. She was beginning to give up the unequal struggle to stay in the air. Ramacitti’s Bombardier, 2nd Lieutenant Theodore Chronopolos, saw that having surged slightly ahead of their leader, they were now dropping back, out of formation. He called Ramacitti on the intercom, warning him to pull up, as they were now dropping very close to Heavenly Body II. Ramacitti was desperately wrestling with the dying bomber’s controls, trying to claw back some height, but it was a losing battle. Without warning, 6133 side-slipped sickeningly to Starboard, literally dropping out of Ramacitti’s hands. Chronopolos frantically buckled on his parachute, as did the Navigator, for both men now knew with absolute certainty, what was coming next. 6133’s side-slip cut across the top of Burns’ aircraft at an angle of about 35 degrees. Engine bellowing, the Starboard outer prop cut into the top of Heavenly Body II‘s flight deck, right behind the Pilot’s window, killing Fred Kauffman instantly. The two aircraft momentarily locked together in a deadly embrace. Theo Chronopolos knew they’d hit Burns’ aircraft. All he’d heard was a very loud, sharp bang and a terrible rending sound, as the two aircraft collided. He and the Navigator went straight for the nearest escape hatch. The Flight Engineer and a couple of the Gunners were already there, but the hatch was totally jammed. Just then, 6133 rolled off Heavenly Body II‘s back and inverted. Thrown about inside the aircraft like a small toy, Theo didn’t know what happened next. He recalled hearing another big bang, then he blacked out. The momentum of 6133’s continuing side-slip had separated the two planes. As 6133 rolled off Heavenly Body II‘s back and then inverted, her Flak-battered Port wing now sheared off completely, which was probably the second bang that Theo Chronopolos had heard. As the wing came off, 6133 started to spin, pointing her nose straight down and plunging headlong toward the muddy waters of the Thames Estuary below. When Theo came to, he was free-falling outside of the aircraft. Instinctively, he pulled the ripcord on his parachute, which thankfully deployed. As his descent rapidly slowed, he saw a B17 going down below him, its death-plunge marked by a thick trail of black smoke. Then shock set in and he blacked out again. Unbeknown to Theo, he was the only one who’d got out of 6133 alive. Literally moments before, on Heavenly Body II, Lloyd Burns suddenly realised that something was horribly wrong. He was about to reach over behind Fred to pull back the curtain. He wanted to see if their rookie wingman, Ramacitti, was keeping with them, when a terrible grinding noise to his left made him duck down instinctively. The daylight through the left side windows was blocked momentarily and he felt the aircraft shudder viciously. He realised in that instant that they’d been hit by another B17, which seemed to him, to be on top of them. Then as 6133 slid off the top, he looked over at Fred. Lloyd was in no doubt at all that Fred was now dead. The first thing Lloyd tried to do was to somehow stabilise the aircraft. Grabbing the controls, he found the ailerons completely unresponsive and he got next to no feedback from the elevators. This was not surprising as the B17’s control cables ran centrally along the top of the fuselage. 6133’s prop had undoubtedly chopped through them. Heavenly Body II was still flying as she’d been trimmed, just; but for how much longer was the question. Lloyd noticed that the Flight Engineer was at the escape hatch, trying to open it. Realising that he’d no hope of flying the plane, Lloyd quickly reached for where his parachute was stowed, but couldn’t find it. As he climbed off the flight deck, one of the crew thrust a chute into his hands and he hurriedly strapped it on; only partially as it turned out. He assisted the Engineer in forcing the escape hatch open then literally shoved him through it, as he immediately followed the Engineer himself. As his parachute opened, Lloyd realised he was only half in the harness. Hanging on for dear life, he saw a B17 going down in a steep turn with one engine smoking badly, but was unsure which of the two aircraft it was. The Bombardier on Burns’ aircraft, Jack Gray, later recalled that the bomber’s Plexiglas nose had been all but severed and he suddenly found himself seemingly more outside of the aircraft than inside it. Jack pulled himself back in and went for his parachute. Heavenly Body II continued flying, though steadily losing height, even though there was only the dead co-pilot at the now useless controls. Six of her crew managed to safely escape. The Ball Turret Gunner, S/Sgt William Farmer, was one of the last to leave, noting that the aircraft looked like it was coming apart. He needed no second telling to get out and fast. The six crew members that managed to escape were: Pilot Lloyd Burns, Bombardier Jack Gray, Top Turret Gunner Leonard Gibbs, Ball Turret Gunner William Farmer, Tail Gunner Richard Andrews and Radio Operator/Gunner Leroy Monk. All but one of those six landed in the water and were rescued by fishing boats. Tail Gunner Richard Andrews came down on dry land at Canvey. The three men who didn’t make it were: Co-pilot Fred Kauffman, Navigator Edward Sadler and Gunner Louis Schulte. 6133 meanwhile, had gone straight down and crashed in twenty feet of water, in what was then a minefield, about half a mile or so off the west beach at Allhallows. The Estuary bottom was and still is, soft Thames mud and the main part of the wreck undoubtedly buried itself to some extent in the mud. (What remained of the wreckage was later salvaged, probably when the minefield was cleared). She had taken most of her crew with her, trapped inside. Sole survivor Theo Chronopolos, landed safely by parachute. He was fished out of the water by a passing boat. The eight men of 6133’s crew who died that day were: Pilot 2nd Lt. Armand Ramacitti, Co-pilot 2nd Lt. William Hager, Navigator 2nd Lt. Donald Watson, Gunner S/Sgt. Richard Ritter, Gunner S/Sgt. Cecil Tognazzini, Gunner S/Sgt. 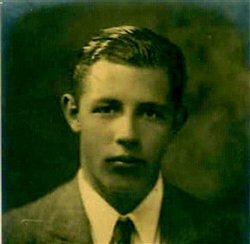 John Burke, Gunner Sgt. Warren Oaks and Gunner Cpl. Paul Haynes. Meanwhile, having been abandoned by her crew, Heavenly Body II continued flying, somewhat erratically and losing height all the time. At first, she’d turned west and seemed to be heading directly toward the oil storage tanks at ShellHaven on Canvey Island. To those watching on the ground, a disaster seemed inevitable, then; still losing height, she miraculously turned east, away from the refinery, over the town, toward Canvey Point and the mudflats. It seemed as though the pilot was still trying to find somewhere safe to put her down. She then circled once over Canvey Point before she finally nose-dived onto the mudflats, throwing an engine forward as she crashed. To this day, those who can remember the event have always held the pilot of that aircraft in high esteem. Trouble was, the pilot was at that moment, just landing in the water off Canvey Island by parachute! Did Fred Kauffman not die in the collision after all? Had he somehow survived his injuries, regained consciousness and taken control of the shattered aircraft? Unlikely. Burns had tried to take control just after the collision and found the controls unresponsive. It is also extremely unlikely that Fred could have come round from such traumatic head injuries as he’d received when 6133’s Starboard outer prop cut through the roof and side of the Flight deck. The answer probably has more to do with the B17’s inherent stability. With the nose section totally open and the escape hatches gone, the sheer force of the through-rushing air was probably responsible for the apparent “steering” of the aircraft. Also of course is the fact that, though a stable design, the aircraft was literally coming apart in flight. Who knows precisely how the aerodynamics were working, but one thing is certain, she was not being actively piloted. The semi-submerged wreckage of Heavenly Body II remained on the mudflats for decades. Every so often, the tides would uncover more of it and bury other sections. The wreck was easily accessible and so subjected to many souveniring expeditions. A local historical society salvaged some of it and put it on display in a museum, until it closed. The thrown engine was salvaged fairly recently and together with some other artefacts, is now on display at another local museum. There is also a storyboard on the seafront close to the crash site at Canvey Point and a memorial plaque, dedicated to the memory of both crews. Sadly, there is nothing of the kind at Allhallows, where 6133 crashed. 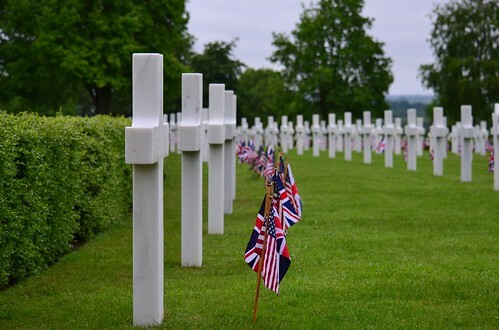 Most of the bodies, including Ramacitti’s, were recovered; some at the time, some a little later, and are interred in the American Cemetery at Madingley, Cambridge; a long way from home. One body was later sent home. The body of Gunner Louis Schulte from 6133 now rests at home in a cemetery in St. Louis. Only two are still unaccounted for: Fred Kauffman, Co-pilot of Heavenly Body II and Gunner Cecil Tognazzini from 6133, both of whom are listed on the tablets of the missing at Madingley. 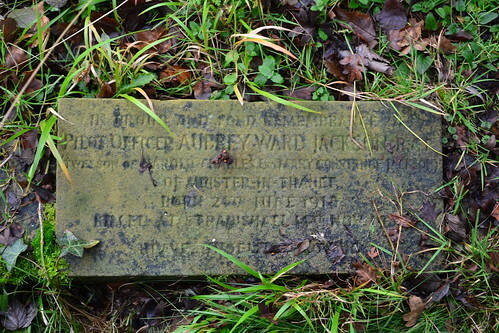 Their last resting places are very probably in the soft Thames mud that their aircraft crashed in. They too, are a long way from home. The US Military Authorities naturally held an inquiry into the crashes. It was chaired by Lieutenant-Colonel Robert S Kittel of the United States Army Air Corps. The Pilots and Co-pilots of both aircraft were charged to account. At the end of the inquiry, the official findings were that 2nd Lieutenant Armand J Ramacitti had failed to keep proper position within the formation. In trying to correct this, he had over-controlled, slid into and collided with, aircraft 42-97942 (Heavenly Body II) which was leading the second section of the formation. It was further stated that “No pecuniary or disciplinary action is contemplated”. Personally, I cannot help but feel that this was a “cop out” and an extremely harsh outcome for the enquiry to have reached, to say the least. Given the actual circumstances involved, simply blaming the collision on Pilot error seems to me to be grossly unjust. Some of the deceased crew members were awarded posthumous decorations, as indeed was Ramacitti. In my opinion though, Armand Ramacitti deserved far better than the enquiry board’s sanctimonious posthumous censure, their apparent “favour”of no official punishment and the award of what certainly looks to me to have been a “token” Purple Heart. He’d given his young life, on his first combat mission, desperately trying to get his Flak-blasted aircraft back to base; as had seven others of his equally meritorious crew, all of whom will remain forever, a long way from home. My thanks go to Mitch for allowing me to post his write-up, it was a tragic accident that may or may not have been avoidable. Whatever the cause, I personally feel that the pilot was struggling with an aircraft that was unstable, difficult to control and likely to fall out of the sky at any moment. The fact that the aircraft had gotten as far as it had was a miracle in itself and those who lost their lives should be remembered for what they did and the sacrifice they made. To even consider that the pilot(s) were to blame for what happened to me is a travesty, they were young men fighting a war that was taking the lives of thousands. Mitch is currently trying to have a memorial or plaque raised as close to the crash site as possible, I sincerely hope he achieves that aim and that these men are remembered in perpetuity. Mitch is the author of a number of books including “1940 – The Battle to Stop Hitler“the proceeds of which go to help the preservation of the Medway Queen a ‘little ship’ used in the Dunkirk evacuations. 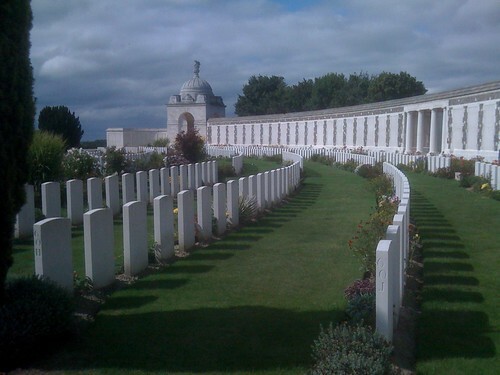 At the eleventh hour on the eleventh day of the eleventh month 1918, the guns on the western front fell silent. Four years of war in which millions were either killed or wounded, towns and villages wiped from the map and the environment changed forever, had finally come to an end. All along the front line, men were soon to put down their arms and leave their trenches for home. The war to end all wars had finally come to an end. During the last four years some 40 million people had been killed or wounded, many simply disappeared in the mud that bore no preference to consuming man or machine. Back home, virtually no city, town, village or hamlet was left unscathed by the loss of those four years. Many who returned home were changed, psychologically many were wounded beyond repair. Sadly, twenty years later, the world slipped into the abyss of war once more. A war that saw some of the most incredible horrors, one that saw the extreme capabilities of what man can do to his fellow-man. Across the world millions of innocent people were slaughtered under the guise of an ideology. An ideology that was determined to rid the world of anyone who was willing to speak out against that very same ideology. Young men were transported thousands of miles to fight in environments completely alien to them. Many had never been beyond their own home town and yet here they were in foreign lands fighting a foe they had never even met. The bravery and self-sacrifice of those young men on the seas, on the land and in the air, go beyond anything we can offer as repayment today. For nearly 80 years, the world has been at an uneasy rest, Korea, Vietnam, the Falklands, the Middle East, and the Far East, in almost every corner of the globe there has been a war in which our service men and women have been involved. The war to end all wars failed in its aim to bring peace to the world. In this year, on the hundredth anniversary of the ending of the First World War along with the anniversary of the formation of the Royal Air Force, we remember those who laid down their lives in the fight for freedom. We remember those who fought for the right to free speech, for the right to be who you are and the right to live our lives in peace. 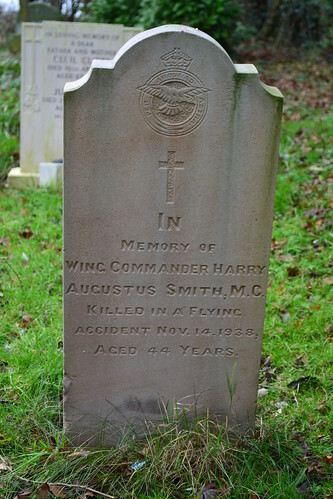 Whilst researching a forthcoming trail, I discovered the story of two airmen who were both killed in an accident, and are both buried in the local village cemetery. Their gravestones are sadly much less ‘grand’ than many of the other airmen in the cemetery, but their departure was none the less, nothing short of a tragedy, and in no way less of a sacrifice than any other loss. It was during a night training flight, on November 14th 1938, that Wing Commander Harry A. Smith MC, along with his navigator Pilot Officer Aubrey W. Jackson, both of No. 9 Squadron (RAF), would be killed in a Handley Page Heyford III reg: K5194, when the aircraft undershot the airfield striking trees outside the airfield boundary. The crash was so forceful that the aircraft burst into flames killing both airmen. A very ordinary grave stone marks the plot of P.O. Aubrey W. Jackson, killed on November 14th 1938 on a night training flight. Hingham – an airfield fallen into obscurity. Continuing on Trail 38, we depart Swanton Morley and travel south-east toward the former RAF / USAAF base at Hethel. Here we find fast cars, a museum, and more remnants of yesteryear. On the way, we pass-by another former RFC airfield from the First World War – the Home Defence Station at Hingham. There is considerable speculation about the true location of Hingham airfield. It is sadly one of those sites that has long since gone, and its history is now so blurred that its true location is not accurately known. It is known however, that it housed only three squadrons in its very short life: 51 (HD), 100 and 102, but only 51 Sqn remained for any period of time, thus making it the sole unit to have flown actively from this airfield. A grass site, it was believed to be located near to the village of Hingham in Norfolk, some 12 miles south-west of Norwich, however, some sources cite it as Scoulton (latterly Watton airfield) located a few miles to the west of here. Wherever the true whereabouts of Hingham are, it is known that it did play a small but important part in the defence of Great Britain, and therefore worthy of a thought as we pass by. Following the reorganisation of the RFC and RNAS in 1916, it was known that 51 (HD) transferred from Thetford to Hingham, arriving at the fledgling airfield on 23rd September 1916, with the Royal Aircraft Factory BE12s. With detachments at Harling Road, Mattishall and Narborough, they were widely spread and would operate solely in the Home Defence role. These airfields were designated Home Defence Stations of which there were two, the ‘Flight‘ station (the smaller of the two) and the ‘Squadron‘ Station, the larger and main station. It is very likely that Hingham was designated as a Flight Station. In October 1916, 51 (HD) replaced with the BE12s with two-seat FE2bs and then with further RAE aircraft, the BE2e, in December 1916. The Hingham flight moved to Marham in early august 1917, whilst the Mattishall flight remained where they were. ‘B’ flight moved west to Tydd St. Mary, a small airfield located on the Lincolnshire / Cambridgeshire border. Throughout the war 51 (HD) squadron fought against the Zeppelins that foraged over the eastern counties. By flying across the North Sea and then turning into The Wash, they were aiming to reach targets as far afield as Liverpool, Coventry and London. One of several Home Defence airfields in this region, the role of Hingham aircraft (and the other Home Defence units around here), was to protect these industrial areas by intercepting the Zeppelins before they were able to fly further inland. However, in the early days of the war, Zeppelins were able to fly at greater speeds and altitudes than many of the RFC aircraft that were available, and so the number of RFC ‘kills’ were relatively light. Many of these German Naval airships were able to wander almost at will around the Fens of Cambridge and Lincolnshire dropping their bombs wherever they pleased. It was this lack of a strong defence strategy that perpetuated the creation of the Home Defence squadrons. This new organisation along with improvements and developments in both ammunition and aircraft performance, began to improve the ‘kill’ success rates, and gradually the number of raids decreased. 51 (HD) Sqn played a pivotal part in this role, attacking Zeppelins on a number of occasions in these mid-war years. It was during this time that two new RFC squadrons would be formed at Hingham. On February 11th 1917, the nucleus of 51 Sqn were relocated here to form the new 100 Sqn, whilst on August 9th that same year, the new 102 Sqn was formed. Both these units would train in the night bombing role and then go on to attack airfields and troops in Northern France in support of the stagnating Allied ground troops. A stay of about 6 weeks for 102 Sqn and 12 days for 100 Sqn saw them both depart to pastures new, St. Andre-aux-Bois in France and Farnborough in the south of England respectively. It was at these locations that they would collect their operational aircraft before reuniting in Northern France in March that year. After 51 (HD) squadron left Hingham, the site was never used again by the military and it was subsequently closed down. Whatever structures that were there were presumably sold off in the post war RAF cutbacks, and the field returned to agriculture with all traces, if any, removed – Hingham’s short history had finally come to a close. Hingham was a small airfield that played its own small part in the defence of the Eastern counties. Whilst its true location is sadly not known, it is certainly worthy of a thought as we travel between two much larger, and perhaps much more significant sites, in this historical part of Norfolk. 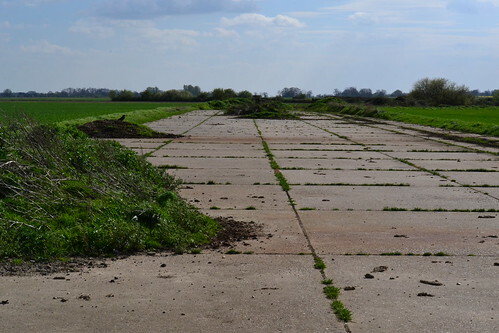 RAF Narborough – Norfolk’s first Airfield. Resting not more than a mile or so from the boundary of RAF Marham, is an airfield that never made it beyond the First World War – but it played such a major part, it should never be forgotten. Opened originally as a satellite by the Royal Naval Air Service, it became the biggest First World War airfield and led the way for the aviators of today’s Royal Air Force. Built as the largest, aircraft based, World War One aerodrome, Narborough was known under a range of different names. The most common, ‘The Great Government Aerodrome’ reflected not only its size but also its multi-national stature and its achievements in aviation history. 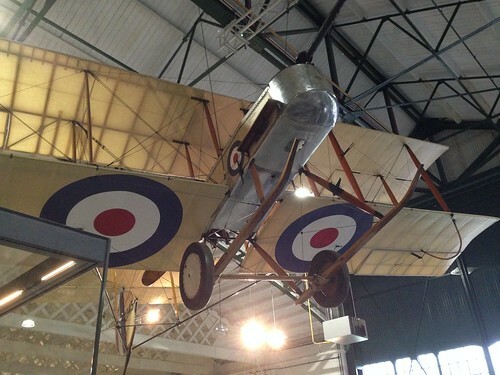 Used by both the Royal Naval Air Service (RNAS) and the Royal Flying Corps (RFC) it would also have names that reflected both these fledgling services. Designed to counteract the threat of the German Zeppelin and Schütte-Lanz airships, Narborough was initially used by the RNAS as a satellite station to RNAS Great Yarmouth. No crews were permanently stationed here, but ‘on-duty’ crews would fly in and await the call to arms should a raid take place over East Anglia. The first recorded arrival was in August 1915; an event that would keep the site in use by the RNAS for the next ten months before being designated as surplus to requirements, and handed over to the RFC in June 1916. Used as a training ground, accommodation was basic to say the least, being described as a “desolate God-forsaken place”*1 buildings needed to be erected for accommodation, training and maintenance. A total of seven Boulton and Paul hangars and up to 150 buildings would be built on the site over the next two years. By the end of the war, some 1,000 personnel would be based at Narborough – a number comparable with any modest Second World War airfield. As the First World War raged on the European continent, the use of aircraft was seen as a new way to monitor, kill and record enemy troop movements; it would develop into a lethal weapon and a very potent reconnaissance vehicle. Training programmes were rushed into place, and Narborough would become a preparation ground for new recruits. With training considered basic by today’s standards, recruits had to pass a series of tests before being sent to the France. Written examinations followed up by twenty hours solo flying, cross-country flights and two successful landings, were followed by flying for fifteen minutes at 8,000 feet and landing with a cut engine. These daring young men, many who were considered dashing heroes by the locals, would display their skills for all who lined the local roads awe-inspired by their antics. Life was not always ‘fun’ though. Accident rates were high and survival from a crash was rare. Some 15 graves lay in the local church at Narborough, all young men who never made it through the training and on to the battle in France. The occurrences of these accidents were so frequent, that one instructor, W.E. Johns, creator of ‘Biggles’ cited spies as the cause of many ‘accidents’ – tampering with machines causing the deaths of the crews on board. Johns, himself having written of many machines, believed Americans with German sounding names were to blame for aircraft breaking up in mid-air or crashing at the bottom of loops. More likely, the fault lay with over exuberant or poorly trained recruits. Narborough as a training station would operate a wide range of aircraft. The French designed Henry Farman F.20, a military reconnaissance trainer, would operate with 35 Squadron from June 1916 until October when they were replaced by the Armstrong Whitworth FK8; 35 Sqn moving to France with these aircraft in January 1917. 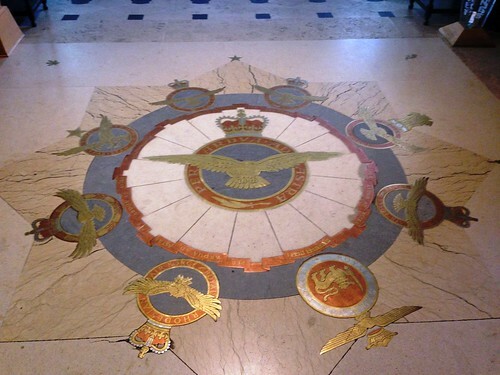 The first full squadron to be formed here was 59 Sqn on 21st June 1916. Born out of 35 Sqn, they would operate Avro’s 504K followed by the second French design, the Maurice Farman Shorthorn; named so because of the length of the skids designed to prevent recruits overturning the aircraft on landing. After these came the BE2c, BE12 and RE8s, before the squadron moved to St-Omer in February 1917. It was during this year that 83 Squadron would be born out of 18 Reserve Squadron (RS) operating various aircraft in the training role. They arrived at Narborough during December that year with FE2bs before they themselves moved to St-Omer in March 1918. As the war drew to a close, one further squadron was formed at Narborough; 121 Squadron on New Year’s Day 1918. Whilst originally formed to fly the DH9, they actually used a variety of aircraft before being moved to Fliton and eventual disbandment on 17th August 1918. Three other units would pass through Narborough before it closed. Now part of the Royal Air Force, 56, 60 and 64 Sqns would all come here as cadres in February 1919. 64 Sqn disbanded here in the following year, whilst both 56 and 60 Sqn moved to Bircham Newton and onto disbandment. The end of the war saw the closure of Narborough. But unlike its sister station RAF Marham a mile or so away, it would remain closed. The buildings were all sold off in what was considered to be one of the biggest auctions in Norfolk, with some of them going to local farmers, small industrial units, schools and the like. Some of these buildings still exist at various places around the local area today but many have long since succumbed to age and inevitable deterioration. Narborough itself having no hard runways or perimeter tracks has long since gone. 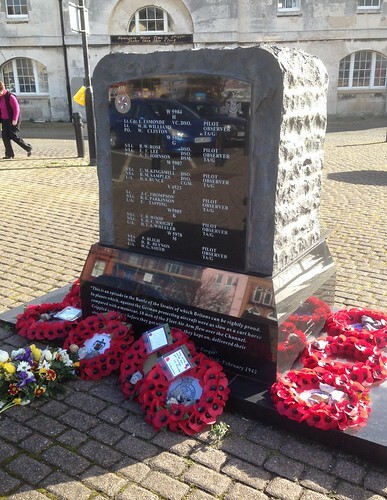 A small memorial has been erected by a local group aiming to promote and preserve the memory of Narborough, a memorial plaque also marks the fifteen graves of those who never made it to France; and the small Narborough Museum & Heritage Centre holds exhibits of 59 Squadron in the local church. Significant not only in size, but in its history, Narborough has now been relegated to the history books. But with the dedication and determination of a few people the importance and historical significance of this site will hopefully continue to influence not only the aviators of tomorrow, but also the public of today. 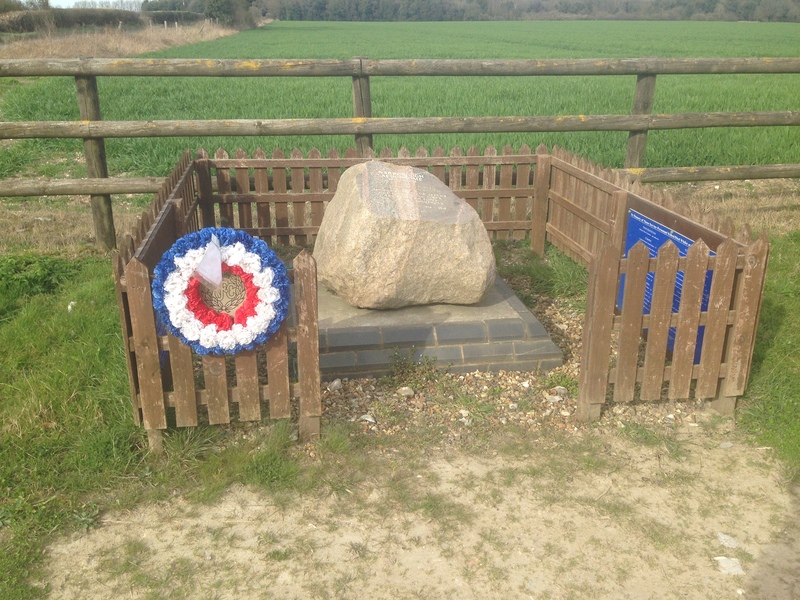 The memorial to those who served at Narborough. Sources, Links and Further Reading. The Narborough History Society cane be visited through their website. The Narborough Airfield Research Group tell the history of 59 Squadron at Narborough, this includes personal notes and details of the Narborough airfield. Young men who died in service for their country, may their memories last forever. On February 4th 1943, Lancaster III, ED496, ‘WS-P’ of No. 9 Squadron (RAF) took off from its base at RAF Waddington, Lincolnshire. 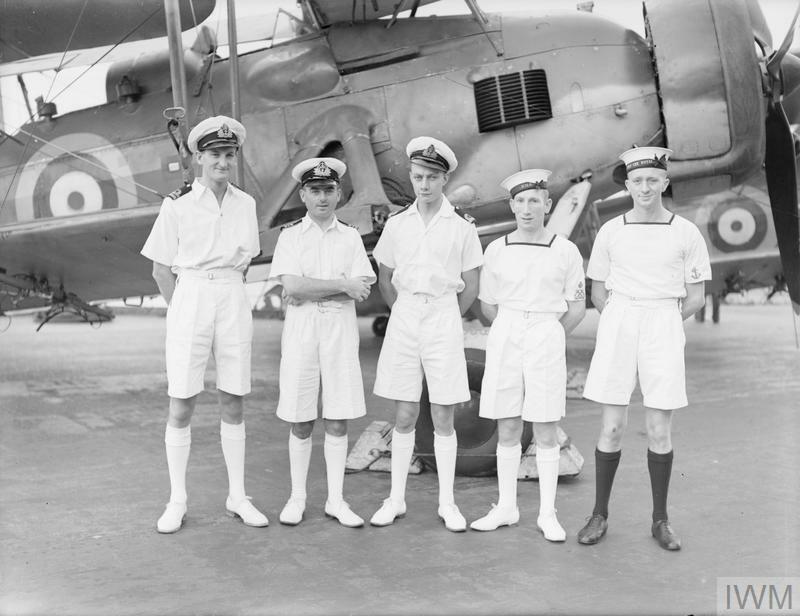 On board were the crew members: Sgts Land, Packer, Gullery, Levesque (RCAF) and McGonigal all of the RAF (VR). This was to be a routine test flight for the crew, but it would end tragically for all those on board. February 1943 was one of the mildest on record, experiencing low snowfalls and warmer temperatures across the country. However, on the fourth, particularly low temperatures were recorded, and during the night many aircraft on operations turned back due to associated icing problems. During that month there was a very low seasonal rainfall, particularly around Lincoln and the east coast area; with prevailing south-westerly winds, the weather was considered to be ‘fair’. Lancaster WS-P took off on a routine air test, it was to undertake a number of circuits carrying out practice landings testing on-board equipment aiding such manoeuvres. At 16:00, the aircraft dived in to the ground crashing at Scopwick, north of Sleaford, Lincolnshire. With all its four engines still running when the aircraft struck the ground, the resultant crash led to an inevitable explosion and fire killing all on board. Whilst Sgt Land’s body was thrown clear, the remaining crew members were not and they remained trapped inside. The force of the crash buried the aircraft deep in to the peaty Lincolnshire soil, rendering any recovery virtually impossible. The crash was investigated by the Air Investigation Branch and their findings summarised in report W1458; but whilst no firm conclusions were drawn, it is believed that ‘structural failure’ of the air frame was to blame for the accident. 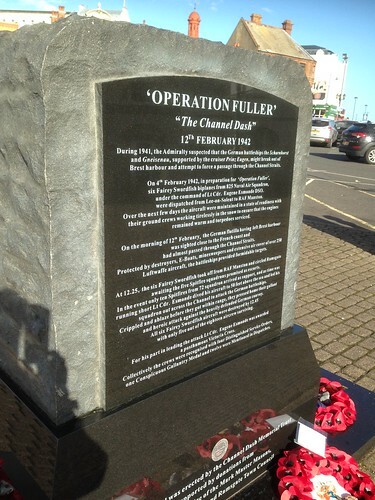 The aircraft and bodies remain in the ground to this day and a small monument has been erected in their honour. 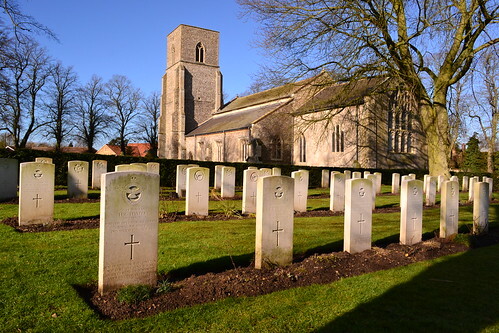 Sgt Land’s body was taken to Weston Longville, Norfolk, where he was buried in the grounds of All Saints Church. His companions are all honoured at the Runnymede Cemetery, Surrey. 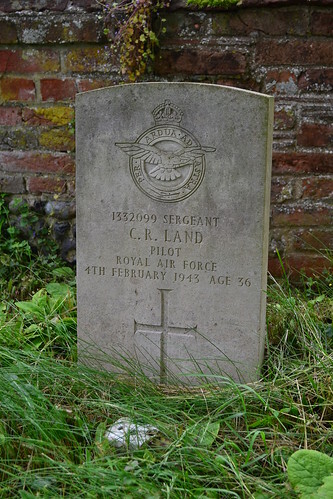 Sgt Land is buried in the grounds of All Saints Church, Weston Longville, Norfolk.